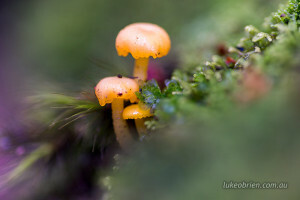 A group of yellow fungi amid the moss. Overland Track. 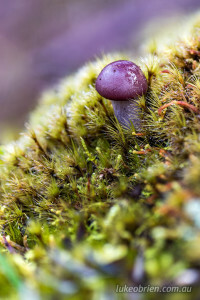 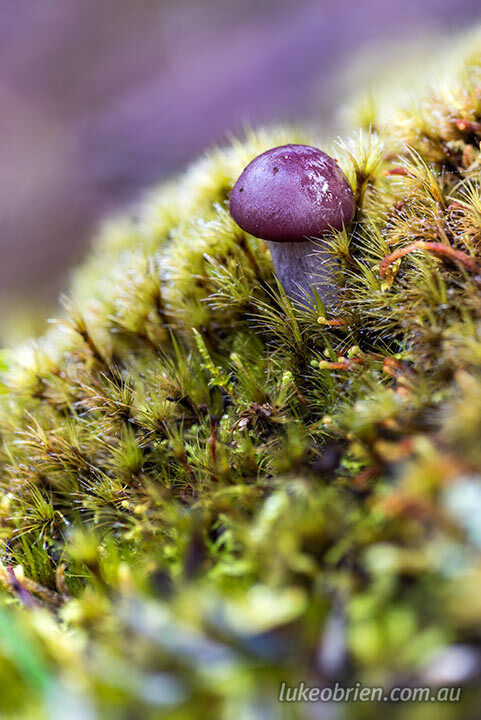 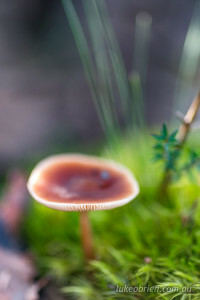 A purple fungi hides in the moss near Narcissus. 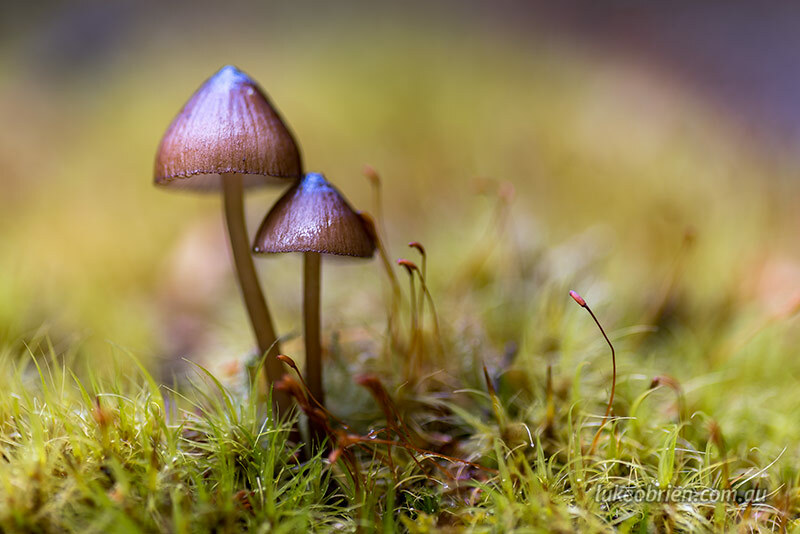 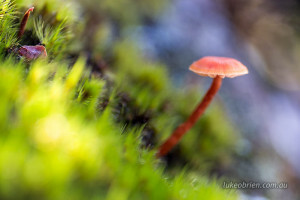 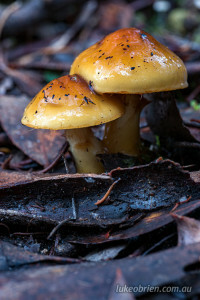 Another couple of mushrooms in the leaf litter beside the track near Narcissus. 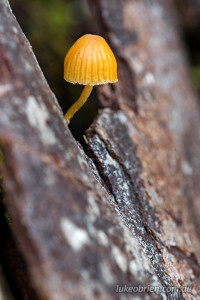 A tiny yellow fungi growing from between the bark on a tree.